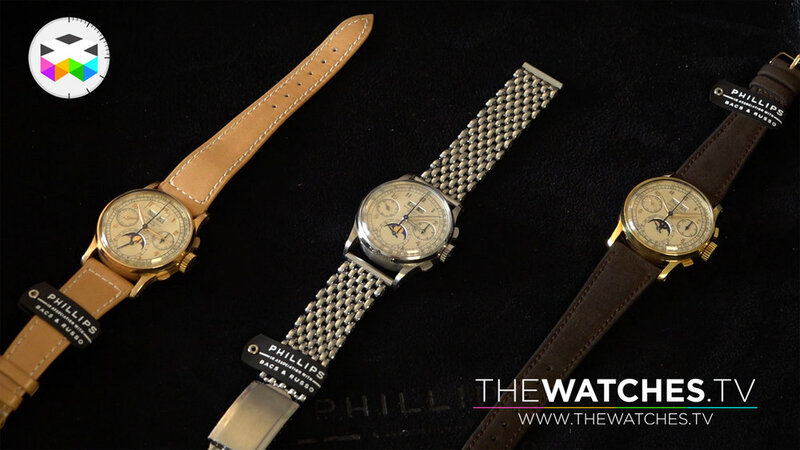 For the very first time in the history of watch auctioning, an incredible trilogy of Patek Philippe Ref. 1518 will be sold during the same watch auction; a steel version, a yellow gold and a rose gold version. This reference is an absolute must and/or dream for every serious collector around the world and we can already bet that the prices reached will be in the very high figures, especially for the steel version, a very rare model. Among other Patek Philippe watches sold during this auction held in Geneva on the 11th and 12th of November, you will find a Ref. 565 with a unique black dial, a Ref. 1463 with a Cartier signature on the dial and a waterproof perpetual calendar of 1958, the Ref. 2438-1.